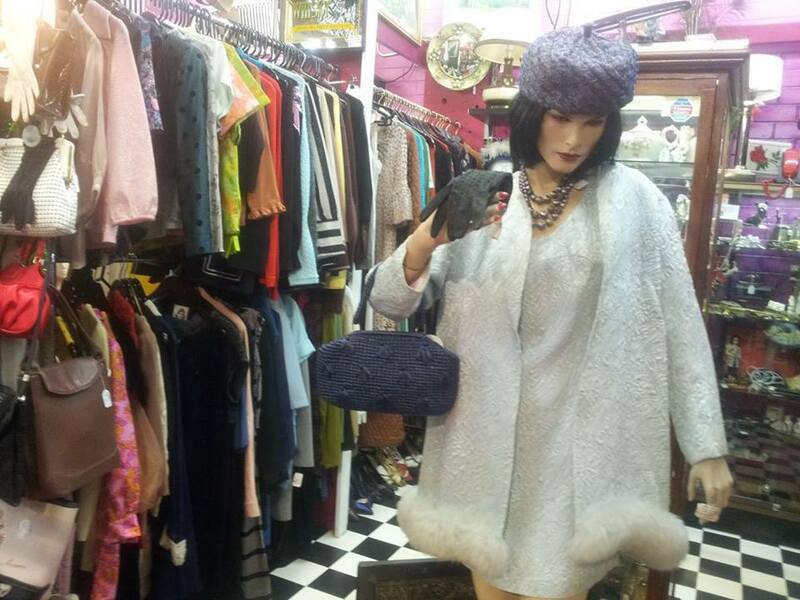 I was recently introduced to the fascinating world of vintage shops through a Vintage Walking Tour of fabulous vintage shops in and around Melbourne. I was invited to the tour by Jessie, the tour organiser/guide whom I met on a designated Saturday afternoon at Degraves Street in Melbourne CBD. I found myself in the company of Jessie and Radford, both are tour organisers and guides, and some other zealous tour participants. Jessie explained to me there are two categories of tours: Express Tours (valued at $35) and Vintage Lovers Tour (valued at $59). True to its name, the former one spans over two hours and involves visiting vintage shops, aimed at rendering a taste of vintage heaven in Melbourne. The latter one, the Vintage Lovers Tour, will suit the ones looking towards absorbing the vibrancy of illustrious players in the arena of vintage shops. Not for the faint-hearted, this tour spans over 4-5 hours. Our adventure started with a trip to some lovely vintage shops in Flinders Street Station subway before we took a tram to Prahran where we eagerly ventured inside the Chapel St Bazaar, the vintage paradise. Tucked away inside the Chapel Street Arcade, the Chapel St Bazaar is a mini mall housing around 100 stores. The glitz and glamour of the spectacular, dazzling and diverse offerings will drop your jaw and land you in seventh heaven. 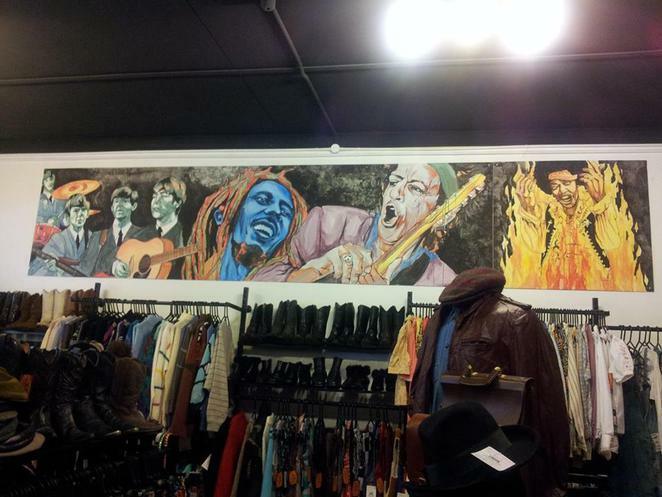 The sheer volume and eclectic mix of diverse items are enough to get anyone hooked to Chapel Street Bazaar. A horde of clothes, a wide variety of jewellery, chandeliers, lamps, phones, antiques of all shapes and kinds. Old books can be found in pristine conditions while toys are ample with even furniture having a buoyant presence. What had me whooping with joy was the discovery of Phantom comics in excellent conditions (talking about blast from the past!). Our next stop was a quirky shop named Shag. 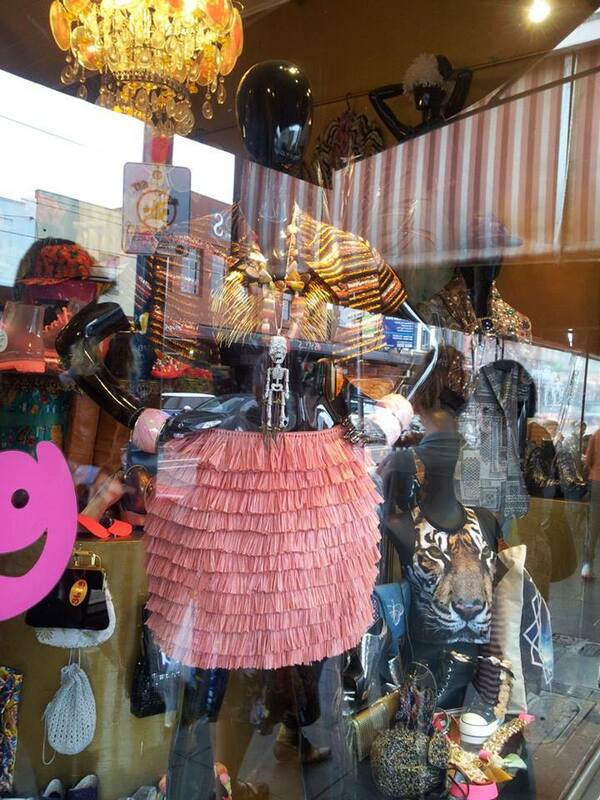 The striking name aside, Shag is home to anything and everything fashionable, quirky and exotic. And to complement their trendy offerings, they play exquisite Argentinian background music. As the cosy little store beckoned me inside, I discovered some real furs (not a fan! 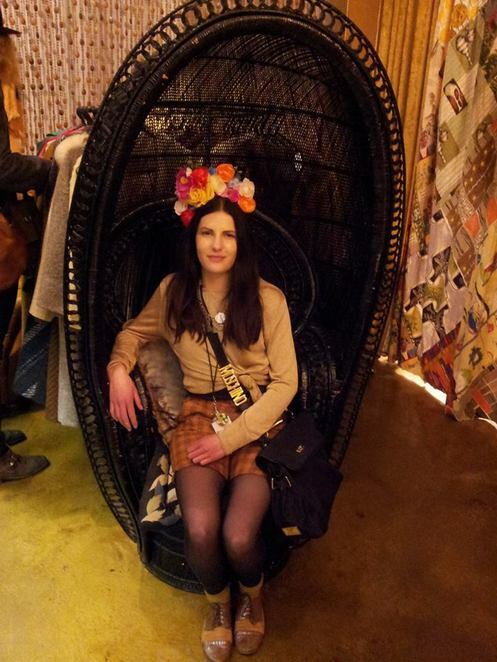 ), fabulous jewellery, intriguing and beautiful clothes and shoes as well as scarves and belts. Capable of igniting even the worst cynic's interest, Shag was definitely one of the highlights of our tour. Our tour guides walked us through and past Salvos, Eurotrash and few other places all the time giving us brief introductions to the places and finally led us to Out of the Closet ('OTC'). Another up-market destination for quality vintage items, OTC has a wonderful collection of clothes, hats and accessories bearing mid ranges prices. OTC has many branches around Melbourne. Next we went to Vintage Clothing & Treasure in Fitzroy and feasted our eyes on some deliciously flamboyant and mind-blowingly beautiful clothes. 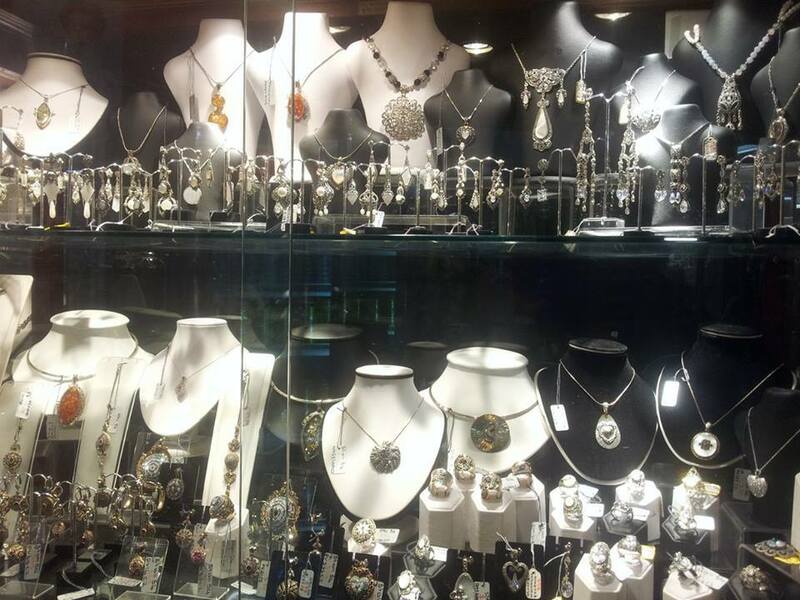 Bearing hefty price tags, you can find fur, leather and a wide array of exquisite clothing. Hunter Gatherer in Fitzroy deserves a glorifying mention which is essentially a boutique offering elegant and chic clothes, scarves, toys and lovely customer service. During the tour, Jessie and I managed to share some chitchats about their business venture when Jessie filled me with interesting details like their business is quite young and only took flight a few months back. Bestowed with cheerful and affable personalities, Jessie and Radford made everyone in the tour feel quite at home while illuminating us with nuggets of information about the various shops we visited. We even got treated to strawberries and lamingtons. Time flew by and before we knew it, almost 5 hours had elapsed and we headed back to Melbourne for a nice afternoon tea. It was one of the most remarkable tours I have ever undertaken. Despite being a Melburnian for many years, I found myself making some delightful discoveries of amazing treasures, lay hidden in these trendy vintage shops. Get inspired by visiting the official website of Vintage Walking Tour. 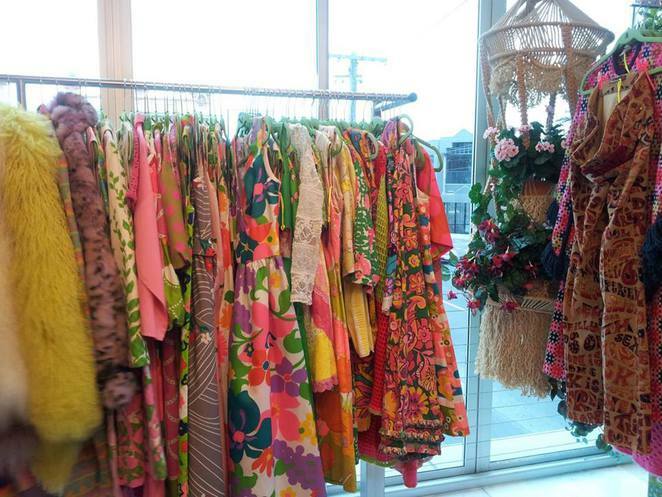 Explore and experience Melbourne's vintage heaven.